THE BEST PART of an in-home massage is YOU DON’T HAVE TO DRIVE HOME AFTER! A technique used to relieve both muscles and connective tissue below the surface. Elite Mobile Massage Services serving Southern Utah!!! Where the Professional Massage comes to YOU!! Online Bookings: Available times listed are for Jared Halgren LMT. To request a female therapist, call 435-767-1395. Massage types offered: Relaxation, Deep Tissue, *Couples*, Sports Massage, Trigger Point, Cupping, Hot Stone, Hot Towel Treatment. Serving: St. George, Washington, Santa Clara. $10 travel fee for Hurricane & Ivins. Inquire about travel fee for further destinations. About the owner: Hello! 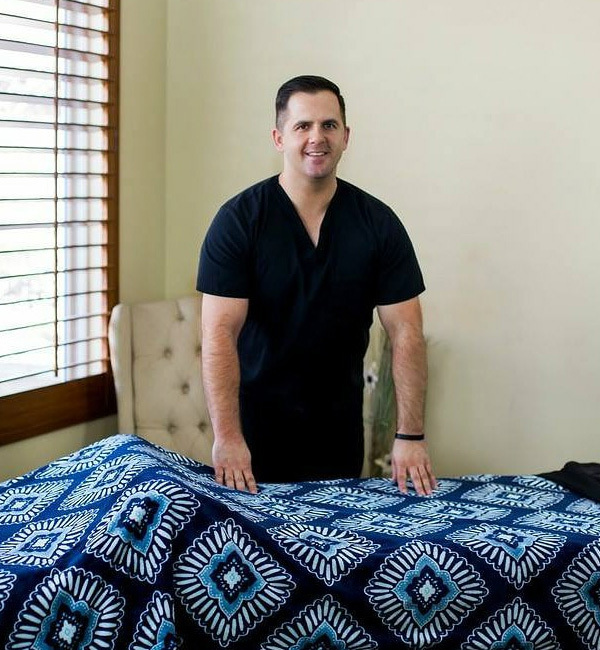 My name is Jared Halgren, a LMT (Licensed Massage Therapist), servicing the St. George area, fully licensed & insured in Utah. I am a family man. I pride myself in my professionalism and ability to adapt to your needs as a massage client. I graduated with a 4.0 GPA and High Honors from Everest College in the fall of 2009. I had an excellent experience doing an Internship with the Portland Timbers soccer team that same year. Years ago when I hurt my back, I was referred to a therapist who did Home Massage. I couldn’t leave the house, she came to me, set up her table in the comfort of my own home & gave me a great, relaxing, pain-relieving massage! THE BEST PART of an in-home massage is YOU DON’T HAVE TO DRIVE HOME AFTER! American Express, Debit, Cash, Most FSA & HSA cards accepted.